Losing someone you love leaves a hole in your heart. When the loss is sudden and unexpected it seems more cruel and difficult to accept. You go through the motions and make the necessary arrangements, comforting those around you and accepting comfort when you can. You hold your family close when they cry and when you think nobody will hear, you cry too. My husband lost his mother, my father-in-law lost his wife, my children lost their grandmother, I lost a friend. It’s hard to accept that she’s really gone. Our son was extremely close to his Grandie. He’s now struggling with the concept of mortality—hers, his and ours. Avery, our seven year old special girl, doesn’t understand. Not really. She knows Grandie has gone somewhere, but explaining death is damn difficult. She thinks her grandmother has gone to the dentist. We’re not sure where she got this idea. “You mean heaven?” he asked her. “Yes, the dentist at heaven,” she answered. She was clearly confused about the concept of heaven. Truthfully, even as an adult, I have questions. I don’t actually believe in heaven. I wish I did. We thought the concept of heaven might at least give Avery a pleasant place to imagine instead of the “nowhere-ness” that I personally find so bleak. When I picked up the kids after their first day back at school I told them granddad and uncle Julian were coming for dinner. “And Grandie too?” a little voice asked from the back seat. Avery’s eyes filled with tears and she pleaded, “Please I want my Grandie. Please, PLEASE I want my Grandie please!” As though if she begged hard enough, she could bring her Grandie back. I started to cry. My son too. And so the three of us, sobbing uncontrollably, walked into the house greeted by an understandably alarmed daddy. 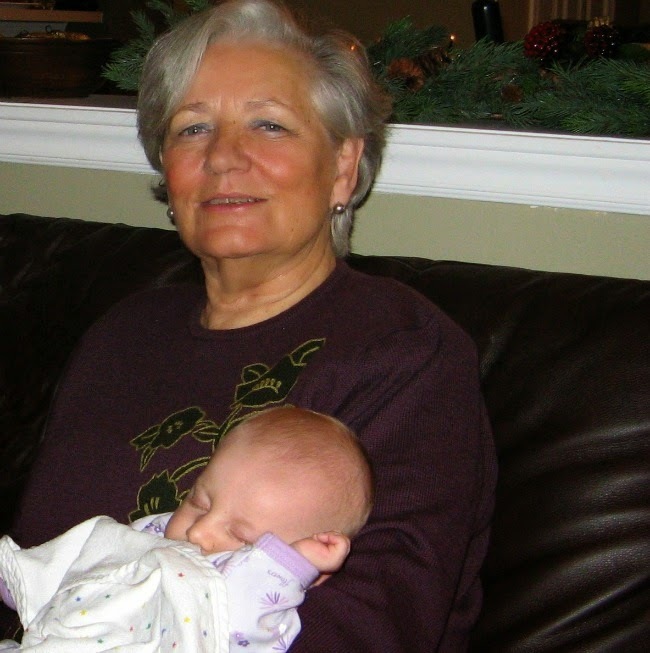 My kids were blessed to have such a devoted and loving grandmother. She was integral part of our lives and living without her is hard. It seems she knew what was to come. Of course she couldn’t know. You can’t predict a brain aneurism. But she said her goodbyes all the same. She made overdue phone calls and connected with family. She had a last coffee with her best girlfriends and a breakfast date with her brother. A week before she passed away she asked me to come help sort her basement. “I need to start getting rid of all of this stuff while I’m still able to.” she explained. We spent the day going through boxes, sorting and making piles. I playfully tugged picture frames and tea cups from her hands teasing, “Give that to me, hoarder.” We laughed and she was pleased with the progress we made that day. We planned to do more next time. But next time would never come. The day before she died, my mother-in-law stopped in for a visit. “Sorry for just popping in,” she apologized. “But I just wanted to see the kids.” She sat with us in the kitchen with Avery in her lap while her son and I cooked dinner. And we chatted about nothing in particular. And when she left, we hugged goodbye. Flowers In The (playhouse) Attic?